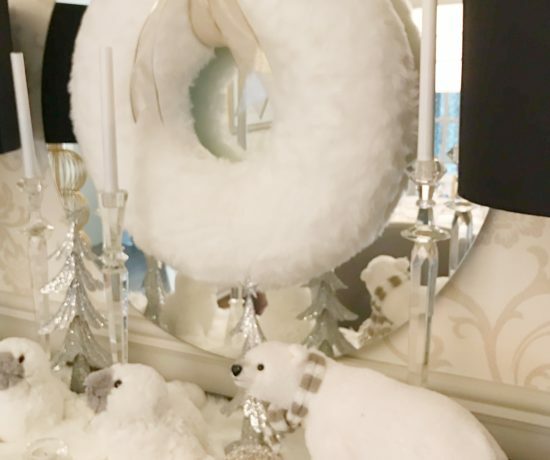 OK…so as promised…here is a super easy DIY project. You might feel like a kid again…Do you remember hodge-podge from grade school? Perfect…cause that’s what we are going to do. Just look at this adorable pumpkin!!! 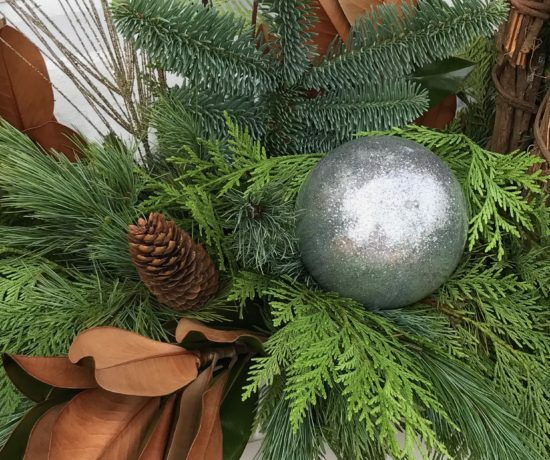 You can make these to match your own decor. 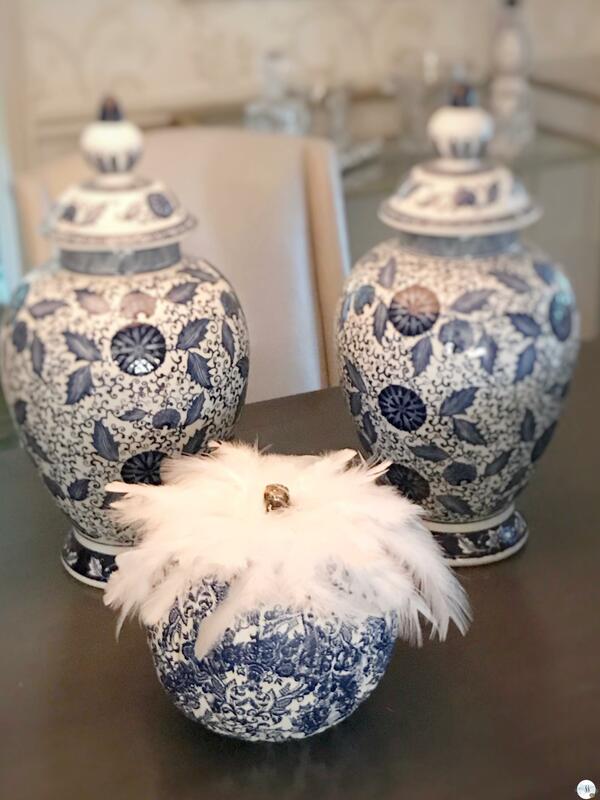 I purchased two beautiful blue and white ginger jars. I am a bit of a sucker for these designs. I have started a collection at the Canadian Club in Florida and now I am starting one here at the Corner House. 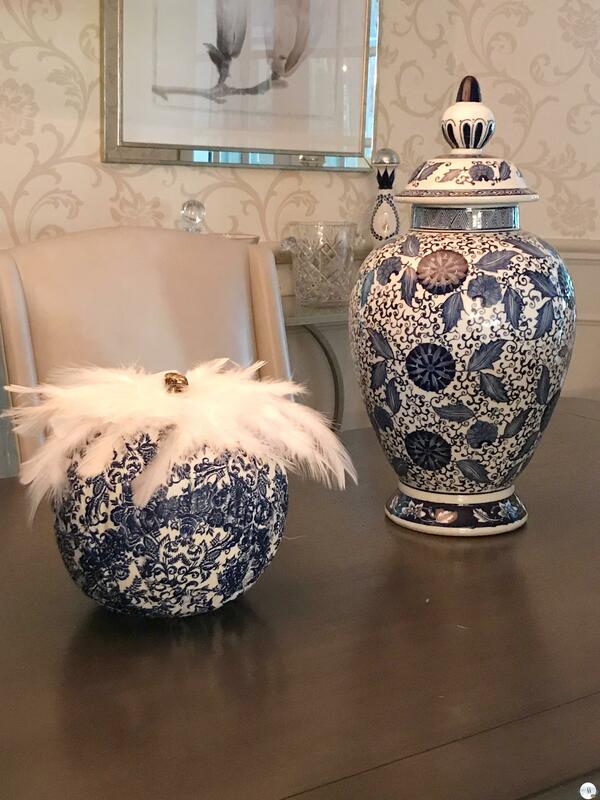 I got these two beauties from Pier 1 Imports. On sale of course!!! I have placed them on my dining room table and just love the size and fit of them here. It is doubtful that I will do a blue and white Thanksgiving table, but I really wanted to leave these jars here for the fall and needed something else fallish to go with them. 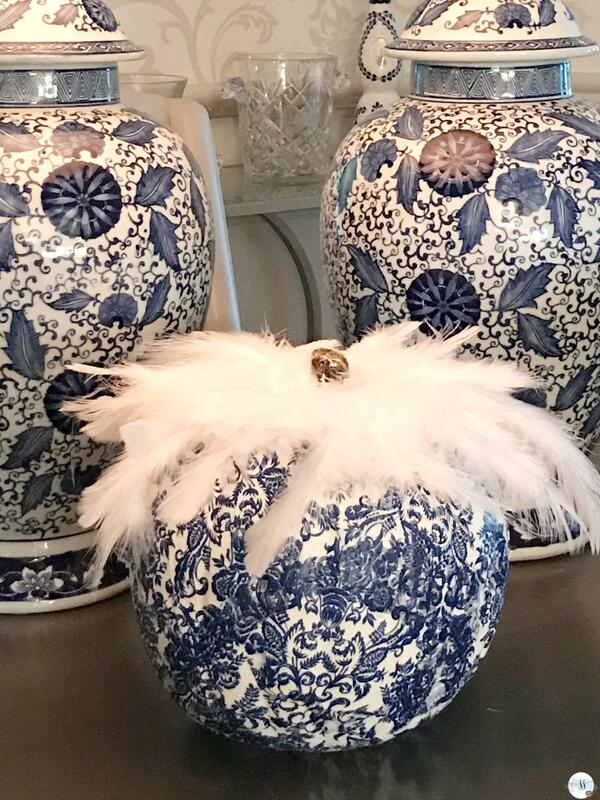 I looked for something online and did find blue and white pumpkins- wow…pretty expensive…but it did give me a DIY idea. I headed over to Michaels and purchased a few of their plastic pumpkins. They were 60% off. 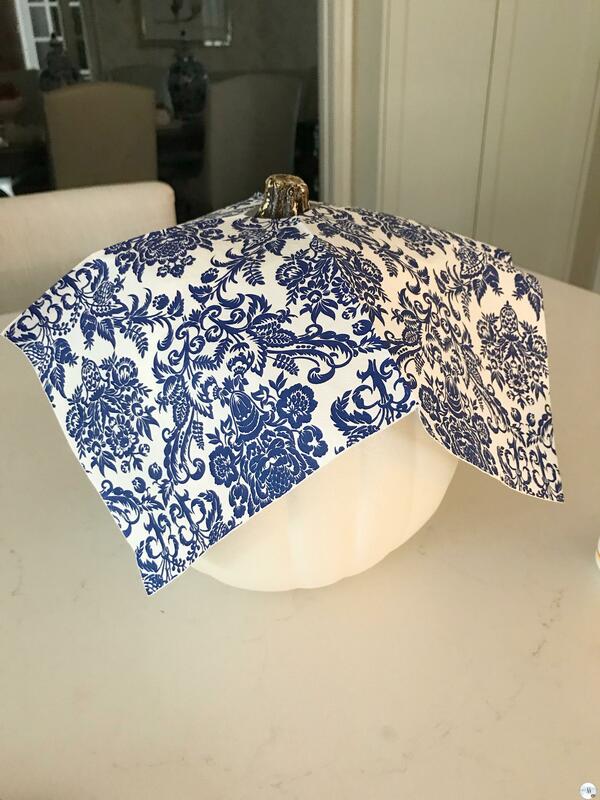 It took a few different stores before I found the blue and white napkins I needed. I finally found them at the Bombay store. 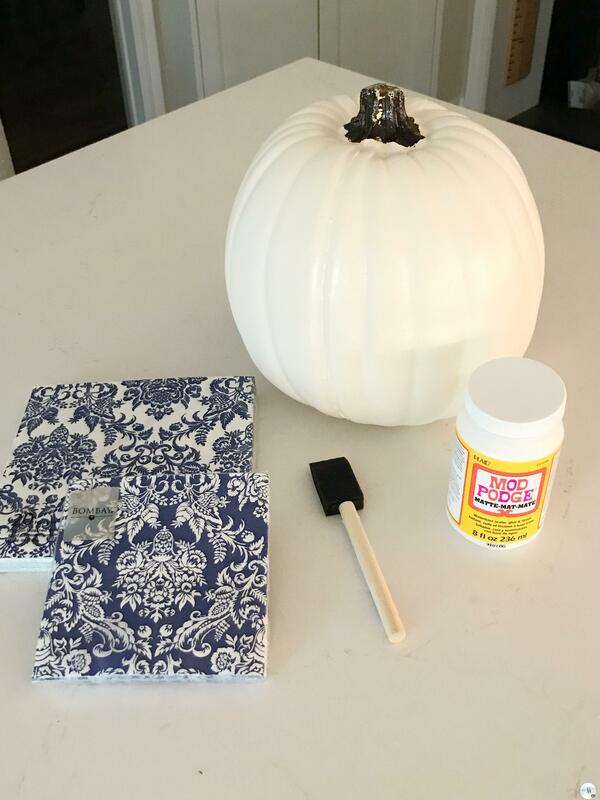 All you need for this project is Hodge Podge, a sponge applicator, a pumpkin and whatever colour napkins you would like to use. You could also use wrapping paper. I was chatting with a friend and she thought it would look beautiful if you used sheet music! The first thing I did was remove the backing from the napkin so that it was a single ply. I cut the corner to fit over the stem of the pumpkin. You want to cut it just large enough for the stem to fit through. 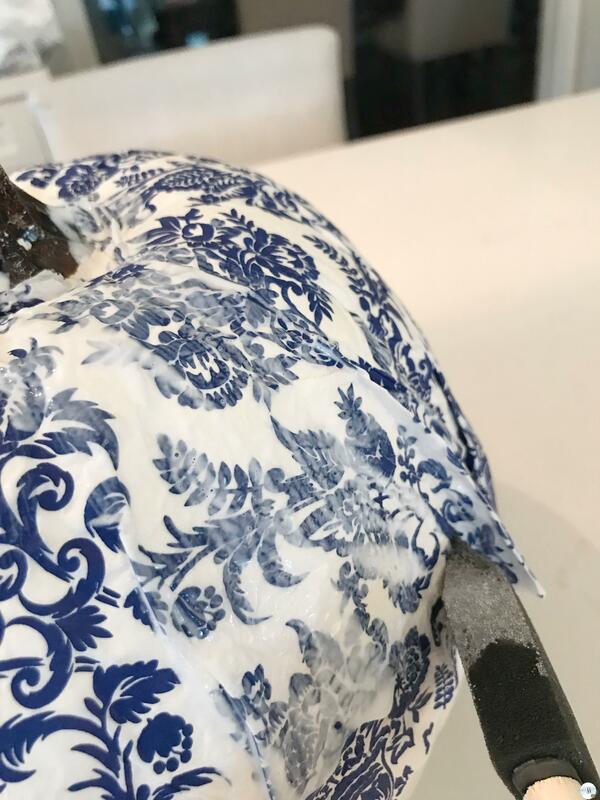 I placed the napkin over top of the pumpkin to get an idea as to how it was going to fit. 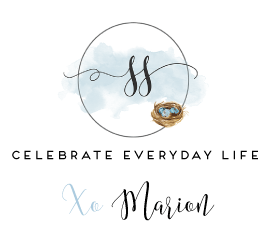 You don’t have to do it this way. 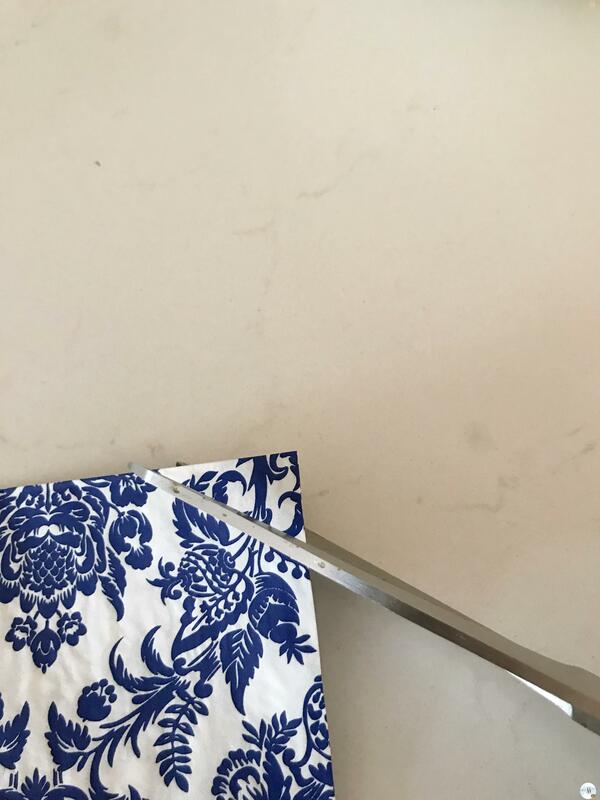 You can cut or rip your napkin/paper into small pieces if you prefer. Next, I covered most of the pumpkin with hodgepodge and placed the napkin onto it pressing down to secure it. Once it is in place hodgepodge on top of the napkin too. Don’t apply too much pressure as it is single ply and will rip once it gets wet. 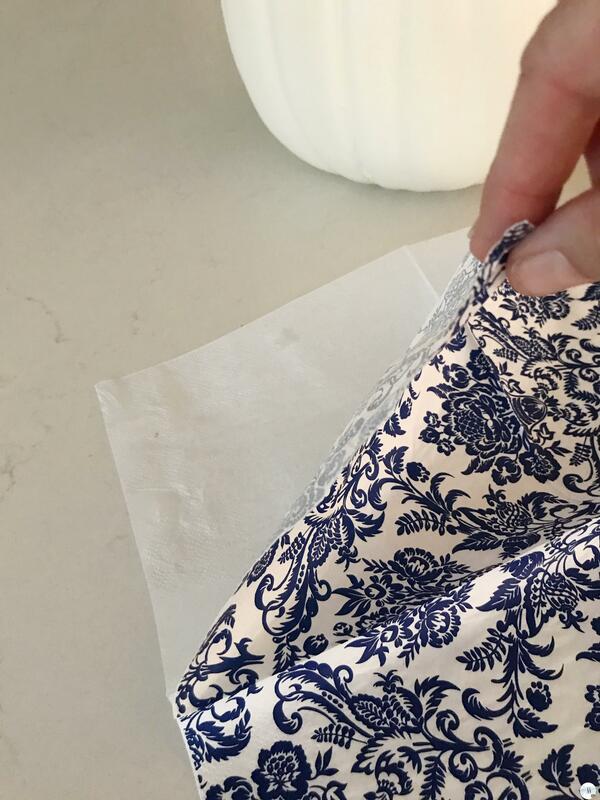 If it does rip you can easily fill in the holes with small pieces of napkin. Make sure you apply the podge in the folds of napkins. 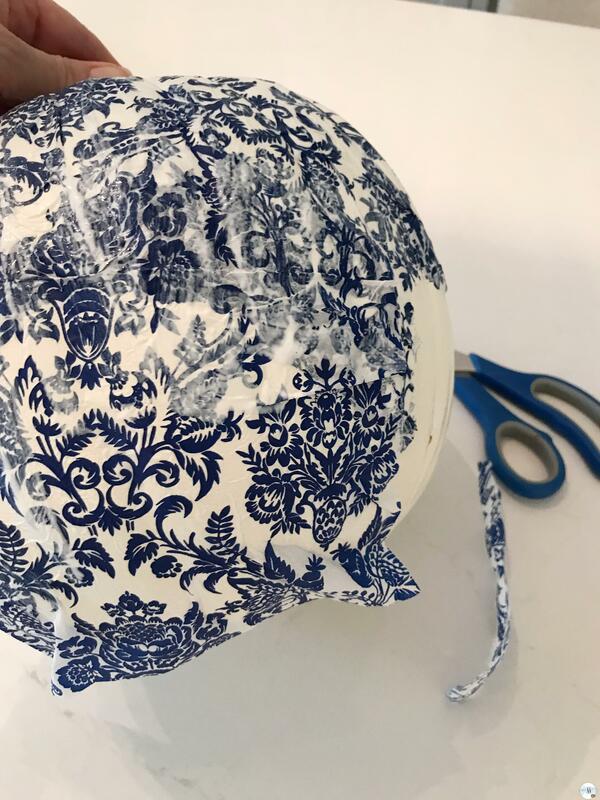 You want to make sure every square inch is glued down. For the bottom half I tried the same method as the top by using the entire sheet. I flipped the pumpkin upside down a placed another full sheet of a napkin on it. Epic fail!!! I ended up with a lot of overlapping and still had some bare spots. Once I added smaller pieces to the bare spots it was just too many layers. I ended up removing all of the bottom half and started over by ripping pieces of napkins and glueing them on like puzzle pieces. You can see a bit of overlapping but I don’t think it looks bad at all. 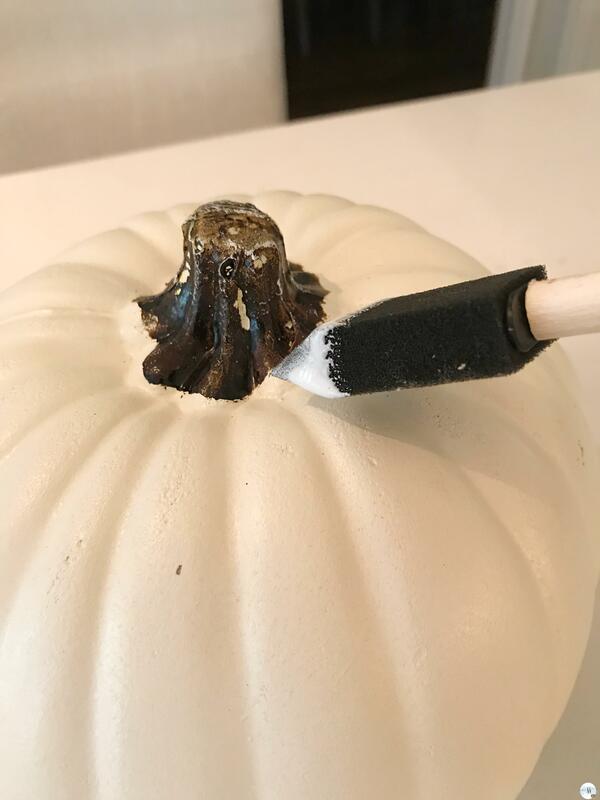 Once it was dry I did one more light coat of podge over the entire pumpkin and left it to try for a few hours. My first thought for the stem was to tie a ribbon around it but it looked a little sparse. I had a bag of feathers and thought it would be super cute if I hot glued them around the top of the pumpkin. I, of course, got carried away. 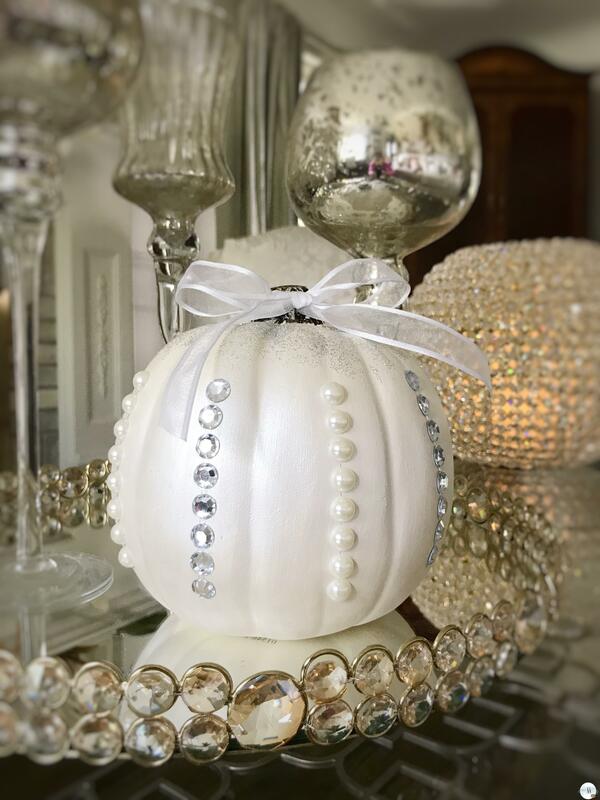 LOL…I painted this little pumpkin with a shimmery white craft paint and left it to dry. I had these faux diamonds and pearls left over from another craft. I simply stuck them on. 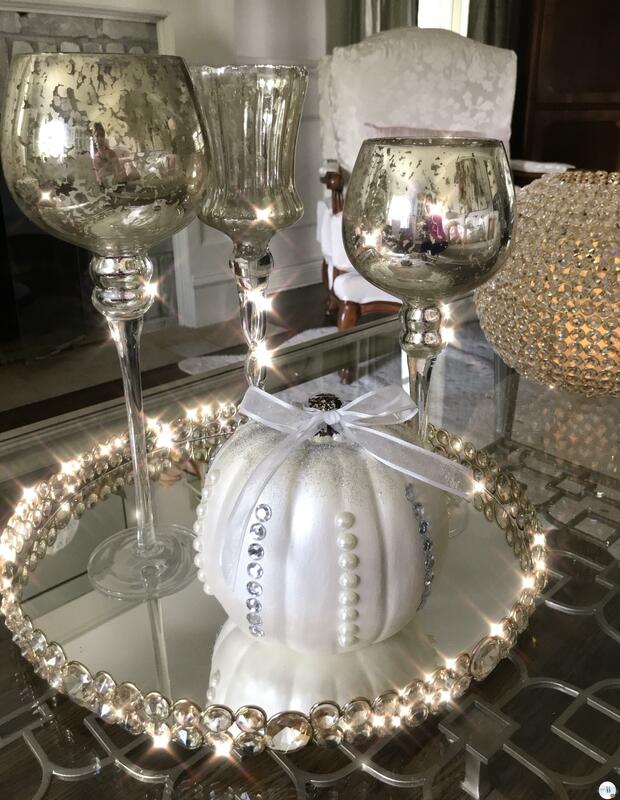 I used a little hodgepodge around the top of the pumpkin and sprinkled a little bit of shimmery silver glitter on it and topped the stem off with a ribbon. I love how it turned out. I might have to make more of these in varying sizes so that I can do something with some wow factor. I have a few more variations that I am working on and will post them soon. IF they turn out…so far it’s not looking good. 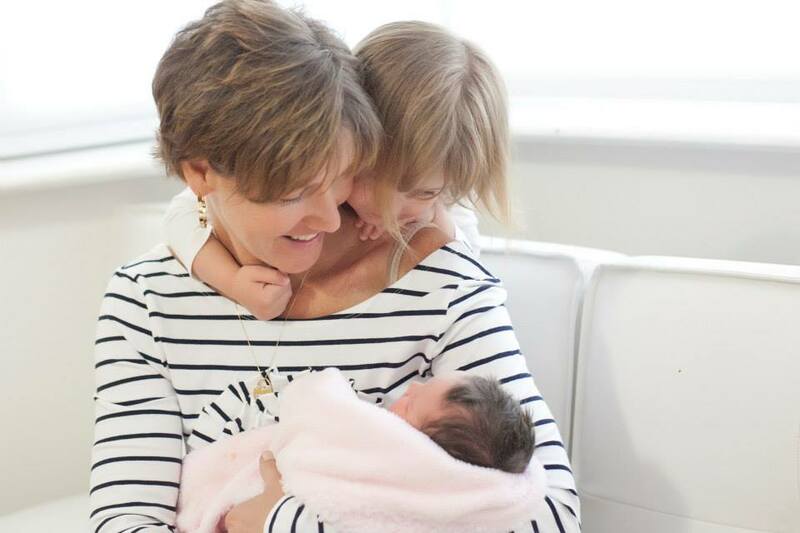 I hope I’ve inspired you to give one of these a try. 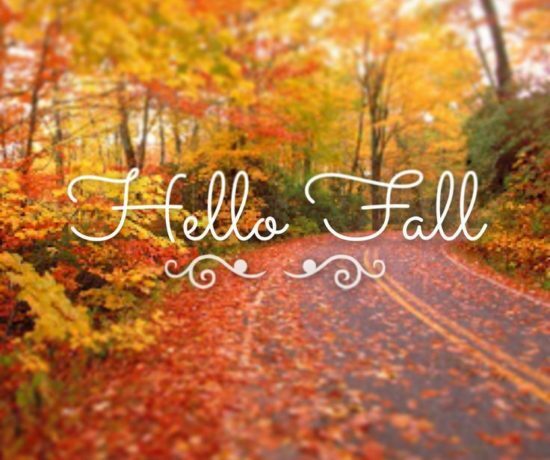 What are you doing to decorate for fall this year?